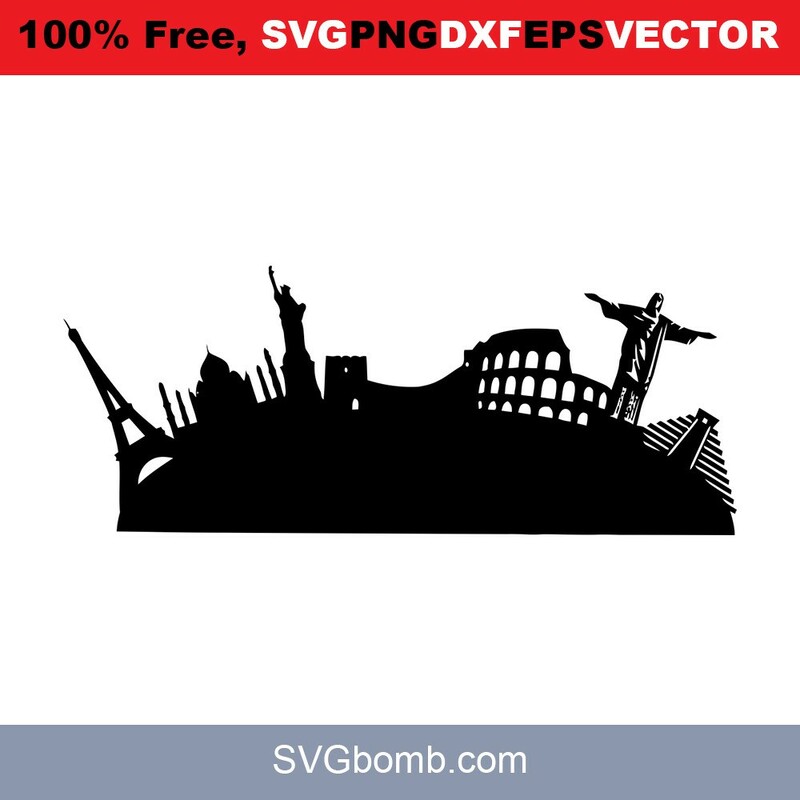 Free SVG cut file, World Travel Landmark. This file can be scaled to use with the Silhouette Cameo or Cricut, Brother Scan N Cut cutting machines. All of our SVG/PNG/EFS Files are for personal AND commercial use. You may use our designs to make and sell items for personal use or your business use. You MAY NOT resell this design or use any part of it to create other designs for purchase. Thanks for visit, World Travel Landmark, plase share on your pinterest.